What do you think of when you hear the word “disciple”? If you are like most people the word will conjure up an ideal standard of Christian commitment. There are normal Christians, and then there are… disciples. The conventional wisdom goes something like this: A disciple is one who has distinguished him or herself as wholly dedicated to the Lord. To become a disciple is the goal of Christianity, and discipleship is the means to get people there. We need to make disciples, not just converts. Once a person has attained to the status of a disciple he or she has fulfilled the intention of the great commission. A disciple is distinguished from a mere believer as the finished house is distinguished from its blueprint. Does some of this sound familiar? Are you more or less in agreement with these statements? If so, you may have missed one of the central and most vital messages of the New Testament. By giving some special status to the term “disciple” you may very well have robbed yourself of the very thing that is intended by the word. In the first place, the word has absolutely nothing to do with attaining to some spiritual level. Whilst it may have overtones of commitment and discipline (many people erroneously believe that the word disciple is a derivative of the word “discipline”), these have more to do with the actual meaning we have assigned to the word than the word itself. The word disciple is a classic example of the confusion that arises when a Biblical word is not translated but transliterated, that is, the transcription of a word in one language into corresponding letters of another language without regard to the original meaning. Disciple is a transliteration of the Latin “discipulus” which carries the same meaning as the Greek New Testament’s “Mathetes”, namely a “learner”, “student,” “pupil,” “apprentice,” or “adherent”. Of course none of these meanings are retained in the English word disciple. Let us consider the implication of this for a moment. Don’t you think there is something slightly weird about a commandment to “go and make learners of all nations”? This would imply that people in a pre-evangelised state are not learners, and that the intention behind the so-called “Great Commission” is to turn them into ones. But wait, it gets weirder. This would also imply that to become a disciple is not to live up to some level of commitment, but to be reduced to the level of one who needs guidance. It is to let go of preconceived notions and to open oneself up for receiving new information. To become a disciple is not to reach the end of the road, but to be placed at the beginning of it. It is not a destination, but a point of departure. It is not an accomplishment, but an emptying. •	Repentance (metanoia in Greek, from meta and nous) means a “changing of the mind”. •	The transformation that follows repentance takes place through a “renewing of the mind” (Rom.12: 2). •	Spiritual warfare, according to Paul, has to do with breaking down strongholds, and such strongholds are defined as “arguments and opinions raised against the knowledge of God”. Paul further defines spiritual warfare as “taking thoughts captive to obey Christ” (2 Cor. 10:4-5). •	In the same passage mentioned above, Satan is depicted as the one who leads people’s thoughts astray from a sincere and pure devotion to Christ (11:2) and who “blinds the minds of unbelievers” (2 Cor. 4:4). •	The New Testament depicts unbelievers as having been given up to a “debased mind” (Rom.1: 28), as walking “in the futility of their minds” and as being “darkened in their understanding” (Eph. 4:18). This explains why Christianity is a lifelong process of learning. The subject matter, of course, is nothing but Christ himself, in whom “are hidden all the treasures of wisdom and knowledge”, providing the rich resource for reaching the “riches of full assurance and understanding and the knowledge of God’s mystery” (Col. 2:2-3). We are “taught in him, as the truth is in Jesus” (Eph. 4:21). In fact, he IS the truth, John says (John 14:6), explaining his earlier statement that “grace and truth came through Jesus Christ” (John 1:17). The incarnation of the Word is the objective dynamic in this equation. The process of “learning” is the subjective dynamic. The one cannot exist without the other. And so Jesus says “learn from me” (Matt. 11:29), and Paul says “you have not so learned Christ” (Eph. 4:20). Jesus Christ is our curriculum, and he has preserved the revelation of Himself in the Scriptures outside of us, his Spirit within us and his Body around us. And so we have no excuse not to “learn him”. If you were given the knowledge above and then the assignment to formulate a “great commission” for the church (without any preconceived ideas) you may very well have written it exactly as it appears in Matthew’s gospel. 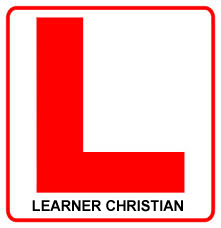 Clearly the first step on the narrow road leading to life is to become a “learner”. This is no accomplishment or badge of distinction, but rather a painful and humbling “letting go” of personal convictions, opinions, paradigms and the like. It is to embrace the poverty of spirit prescribed in the first line of the Sermon on the Mount. It is to aspire to the education of Christ, and to say with him “My teaching is not mine, but his who sent me” (John 17:16). It is to stop being Martha and to become Mary. It is to sit at the feet of Jesus and receive from him.